We are delighted with our new kitchen, I have nothing but good things to say. 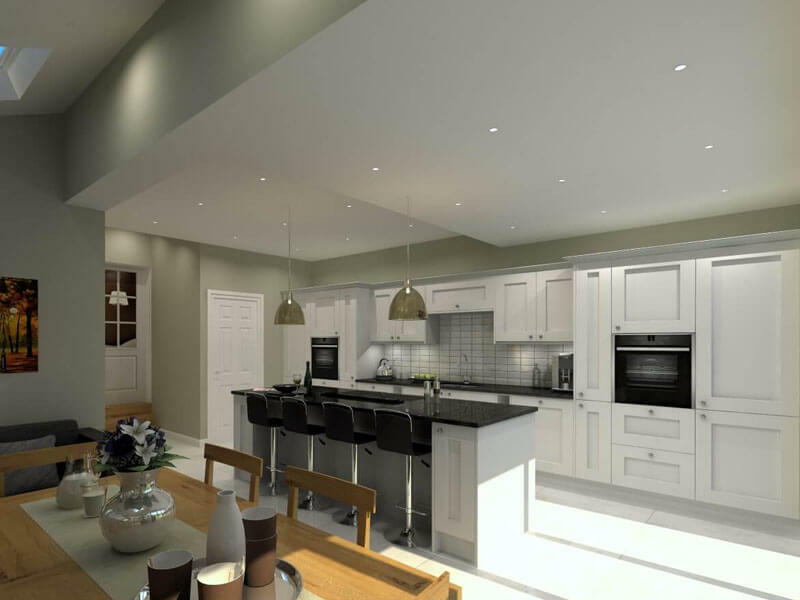 From initial concept back in October, Lee was so helpful and patient, despite our constant tweaking and changing things – his design has made our dream kitchen come true and no matter what the problem, he found a solution. The last week has gone surprisingly smoothly considering all the work that has been done. Glenn has done an amazing job with the absolute minimum of mess and disruption and the job has been carried out efficiently, within the timescale promised, and to our total satisfaction. Sam the electrician has also done an amazing job and everything we wanted moving or changing has been achieved. We would both like to express how delighted we are with the new kitchen. It looks fantastic. So many family and friends have been amazed at the transformation. We are so grateful of the way you guided us through the process of choice and logistics of fitting our new kitchen. Lee was so informative and made us feel relaxed and able to make clear choices. Furthermore, all the contractors and especially the fitter Shaun were so kind and helpful. We would like to convey our thanks and appreciation to you all. We are very pleased with our new kitchen & utility room installed by UK Kitchens. We found all the employees very pleasant & helpful. From the planning to the installation & follow-up, everything was done in a satisfactory manner. Thank you to all the people involved. We will certainly recommend your company. We are delighted with our new kitchen. Putting everything away has proved to be something of a trial, not because of the kitchen design but simply because we have so much stuff to fit in it. Martin made a superb job of fitting the units, and we are on a fast learning curve with the appliances. Many thanks especially to Aaron for his design input, and patience, but also to the rest of the team at UKK. We actually couldn’t be happier with our kitchen. 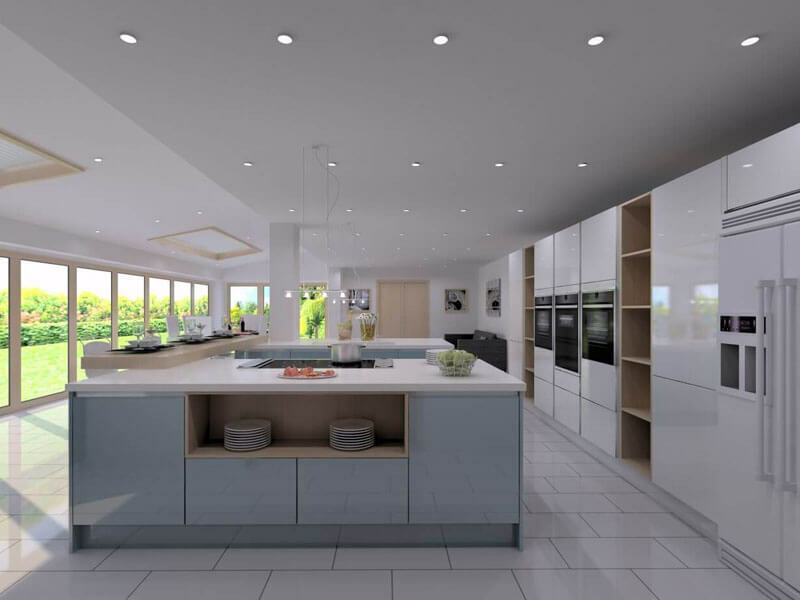 Arran has not only designed us the most amazing kitchen, he has also saved us about £40,000 in the process. When we first made contact with UKK we were certain we needed an extension to give us an open plan kitchen/diner. After months of planning we feared we were in dangerous territory with negative equity, so decided to work with what we already had and dismissed the idea of an extension. At the time we were in discussions with UKK and another independent supplier. We gave both the same brief, and Arran’s design honestly blew the other company out the water. From that moment on Arran had our complete attention and we weren’t interested in looking elsewhere. Everything, and I mean everything had been thought of. From the look, to the practicality, to the cost, it was fantastic. It took us a while to order the kitchen while we sorted finances and secured a builder etc, during which time we were never hassled by UKK. We encountered a few problems along the way with the installation; mainly due to supplier issues, but I can 100% say that the after sales team went above and beyond to rectify the issues. We’re a month in and thoroughly enjoying our new kitchen/diner. It’s completely transformed our lives in so many ways. Most importantly it’s made us more social as a family. It’s also made me fall in love with our house again! We really can’t thank Arran and the UKK team enough. We are now the owners of a kitchen that we never imagined we could have had. From day one when we contacted the showrooms, everything went smoothly with no problems whatsoever. Our old kitchen was 30 years old, the newly fitted one is our pride and joy. 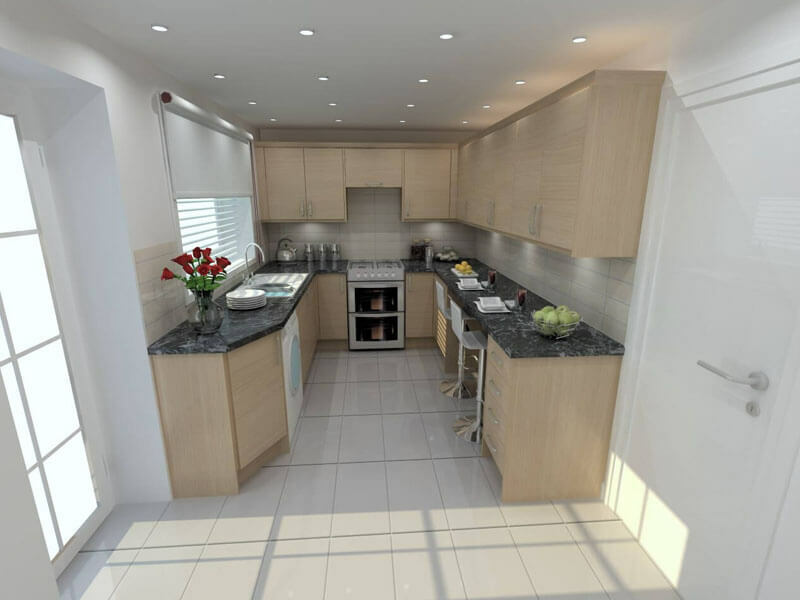 UK kitchens made the whole experience hassle free from beginning to end and everyone involved were very very professional, hardworking and courteous. Even when my old fridge freezer decided to die on us, UK kitchens came to our rescue with the loan of one until the new one was fitted. The workmanship was faultless, Mark & Dylan were fitters from heaven, Aaron who designed the kitchen got everything right the first time. The delivery man Rick was very courteous and helpful. Sam the electrician even turned up to do his jobs suffering from a broken wrist, we could not have been looked after any better. 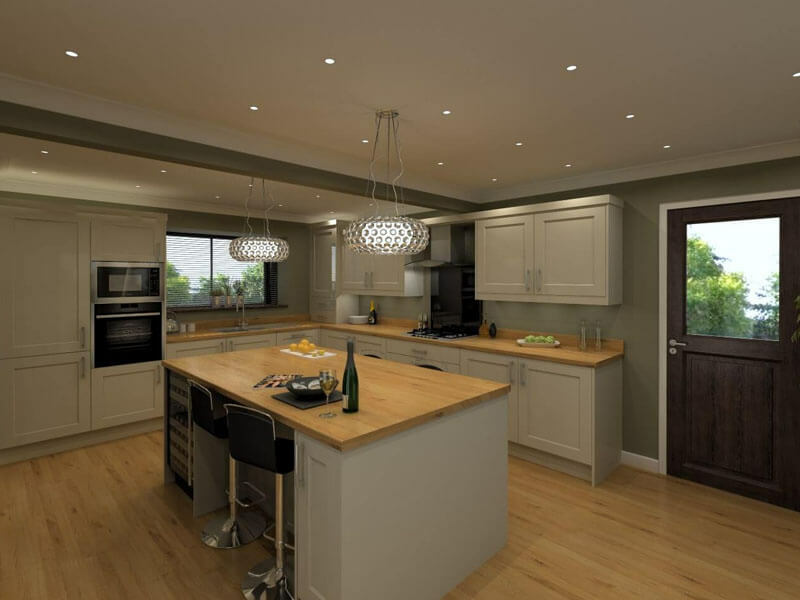 We will recommend UK kitchens to anyone who is unsure of which company they should choose. Good luck for the future to you all, you are all very very good at what you do. Thank you all.